Certain pets, including dogs, need baths on a regular basis. If you have dogs who don’t really enjoy being in the tub, there are ways to make bath time more pleasant for them and less stressful for you. 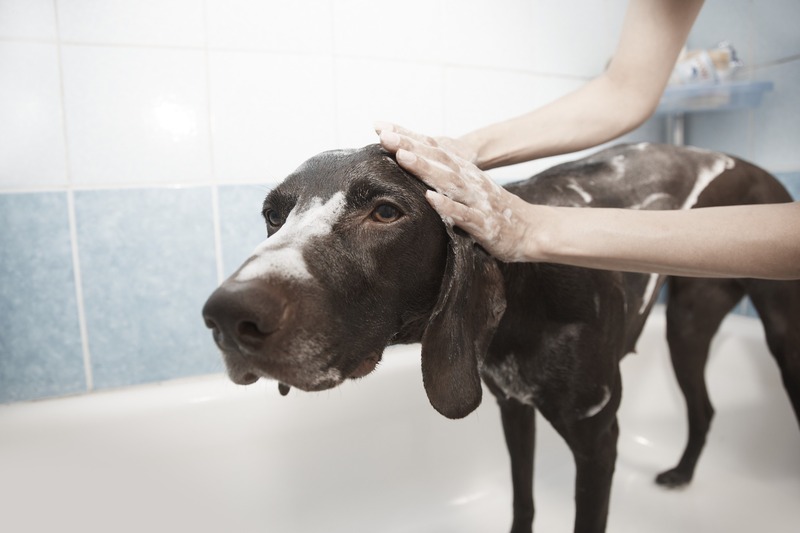 Use the following tips when it’s time to give your dogs a bath again. Make sure you have pet shampoo, towels, a dog brush and any other bath supplies you need in easy reach before getting your pet into the tub. This makes it much more convenient for you to grab the items you need without having to worry about your dog jumping out of the tub. If you have pets who don’t like being in the tub, getting them into it can be the biggest challenge at bath time. You can use treats to lure pets toward the tub. Place a couple of small treats on the far side of the ledge around the tub to encourage your dog to get into it in order to reach them. Even if you have small pets who can be picked up and placed in the tub, treats can help them stay calm. Using treats also forms a positive association with the tub, which can make even the most skittish pets eager for bath time. Have three towels ready to use for bath time. Place one on the floor, so your pet won’t get water all over it after getting out of the tub. Drape another towel over your dog right after getting out of the tub to prevent water droplets from getting on the walls and other surfaces. Use a third towel to dry your dog off. Our pet-friendly community allows up to two pets per apartment. Contact us to learn more about the pet policy for our apartments in Flagstaff, AZ.